I’m honored to introduce our May Graider of the Month, Oby Nwamu! 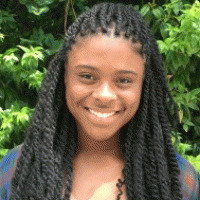 We are so grateful that Oby found time this past school year to lend her time and talent to The Graide Network in addition to all of her other academic and volunteer pursuits. Over the past few months, she has had the chance to work with both middle school and high school teachers in science and ELA courses, and teacher feedback has been overwhelmingly positive. One teacher remarked: “I was most impressed at how well Oby provided feedback that referred specifically to the content in the essays. Further, she consistently connected this individualized feedback to the assignment expectations and rubric.” Thank you, Oby - we’ll miss you next school year!